On our last night in Madrid, we found this awesome rooftop lounge. 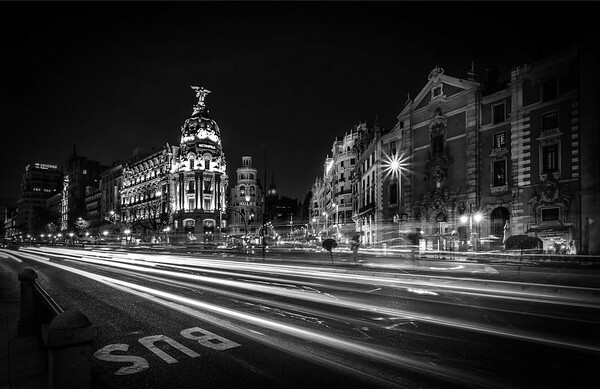 It ended up being a great location to photograph the traffic along the Gran Via. This is one of my favorite areas of New York City. You can people watch all day, photograph all night.....and you are never more than a few steps away from a great cannoli and coffee. 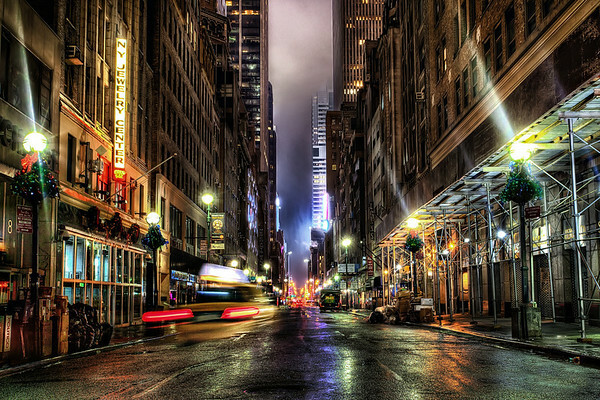 In the wee small hours of the morning......Lower Manhattan. At this time of the night, the shops have closed, the street vendors are gone.....and the city has a life all its own. 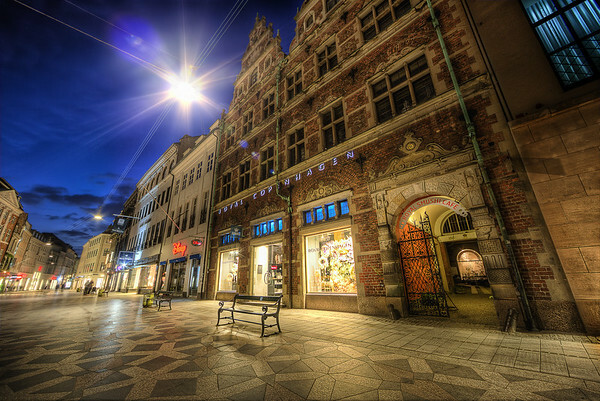 Its peaceful......good for late night walks, a blanket in the park.....or just watching life go by. I have passed by this exact spot dozens of times......but it wasn't until this 1am visit that I really saw it. 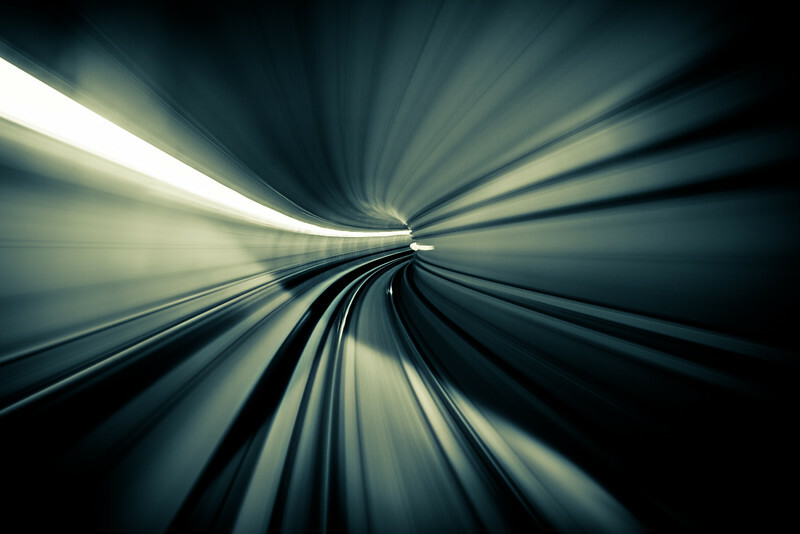 The Metro in Copenhagen is all computer-driven, no human driver. So, you can actually sit right up in front. It took me a few rides to get that prime spot......and when I did I heard a lot of Danish conversation behind me......probably wondering why I had my camera pressed against the glass. 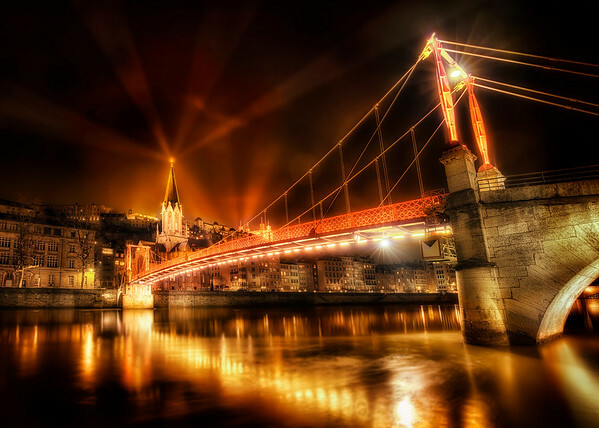 One of the many cool bridges in Lyon......Passerelle Paul Couturier. It connects the metro area of Lyon with the old section. This is such a cool scene that its almost impossible to not stop and take a photo. I got here just as the sun was setting. 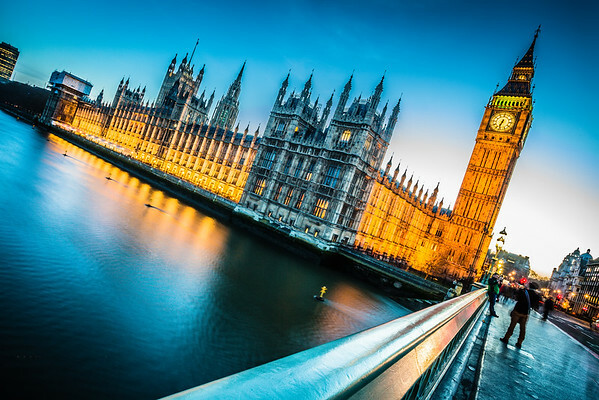 I love the way to golden tones of the architecture compliment the blue water and sky so well. I decided to venture out late one night from my hotel in Paris....no particular destination...just walking. About 20 minutes, a couple of Nutella crepes, and an espresso later, I ended up here. 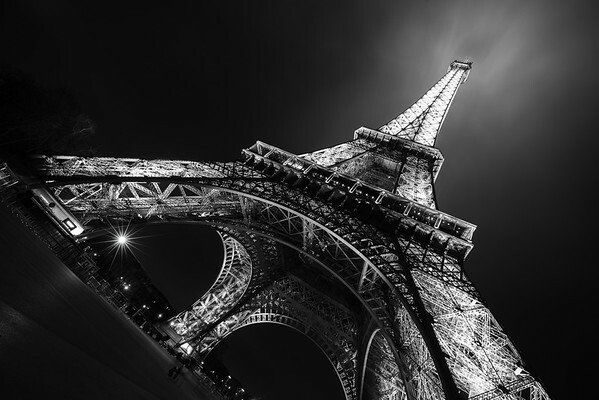 I know there is not shortage of Eiffel Tower photos in the world, but I could resist adding another. And it helped calm down my midnight sugar and caffeine high :-). I love Seattle. Only been there a couple of times but its hard not to build an affection for the birthplace of Starbucks, Nirvana, Soundgarden and, best of all, Pearl Jam. 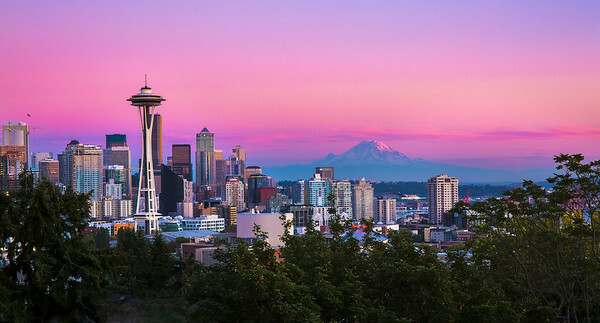 Anyway, on my last night there I took a ride up to Kerry Park, as did about 40 other photographers. Everyone gets this shot, but its such a great view that its hard to resist. 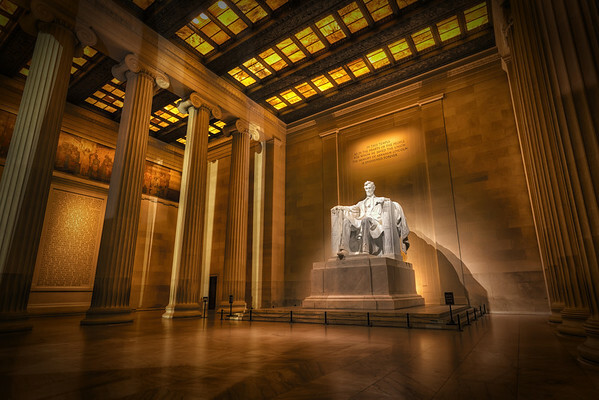 Late last summer I took a trip to Washington DC and decided to spend my last night photographing the Lincoln Memorial. I waited patiently for about 2 hours while the crowds made their way through. Then, at about midnight, the last person left and I was alone with Mr. Lincoln. As I set up this shot, I was overwhelmed with a great sense of awe....of all that this great man had done. 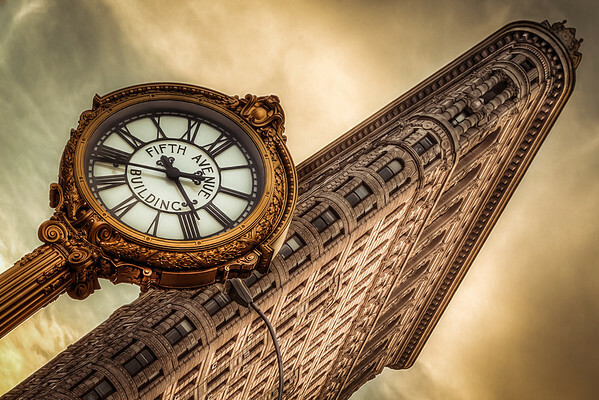 I just stood there, sort of frozen in time. When I got home later that week, I looked back at this photo and was surprised to see that I had unknowingly captured the entire Gettysburg Address on the left wall. 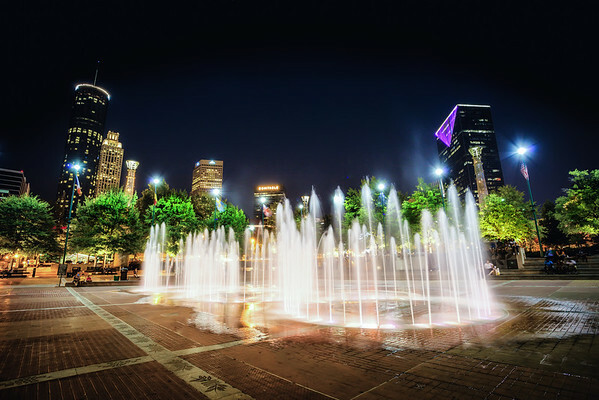 Most people I know get their relaxation time sitting on a beach chair……but, for me, I’d pick a bench along 5th Avenue or Peachtree Street any day. The buzz of the traffic, a cool breeze and a cup of coffee and I’d be all set. 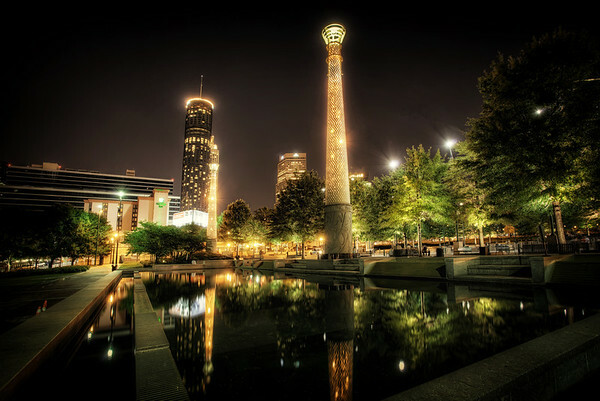 I took this from right near the entrance to the Georgian Terrace Hotel in downtown Atlanta a few nights ago. 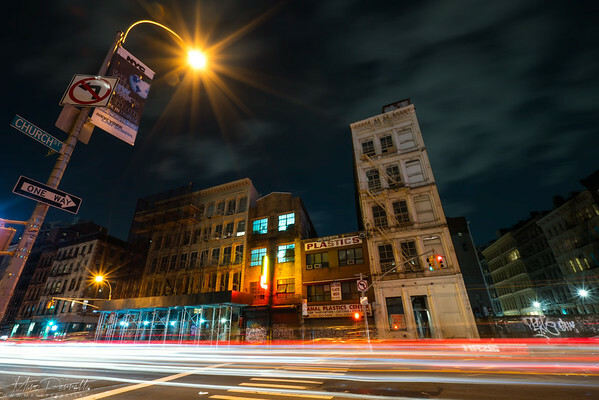 Its a combination of 3 shots…..one for the buildings, one for the Fox sign and one for the light trails. 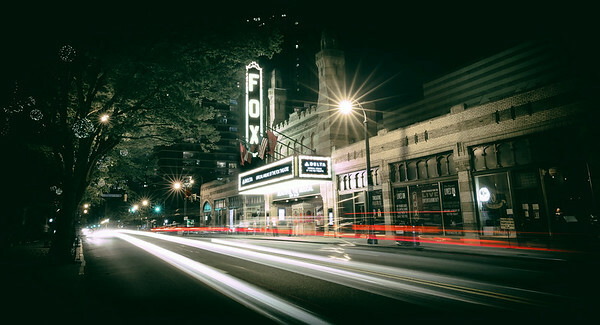 I wasn’t trying to be all artsy or anything…..just had to do it that way because the lights on the Fox sign and the marquee keep changing….…and I couldn’t get the timing right. Luckily, there was some Sinatra playing in the hotel lobby and leaking its way on to the street. Nighttime in the city with some "Ol' Blue Eyes"……doesn’t get better than that. 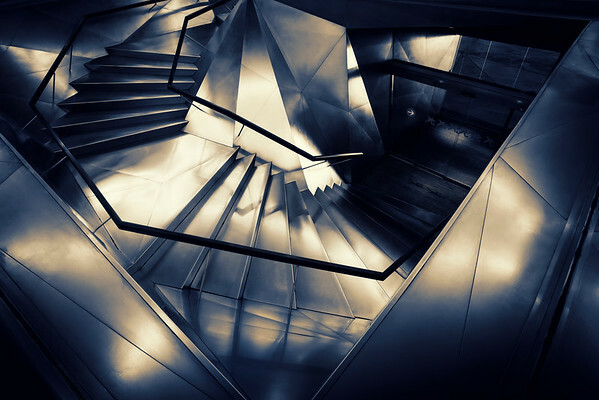 The stainless steel staircase in the entrance to CaixaForum building, Madrid, Spain, work by Jacques Herzog and Pierre de Meuron. I saw a photo of these in a web search of “Cool stuff to see in Madrid” so, of course, I had to go have a look for myself. 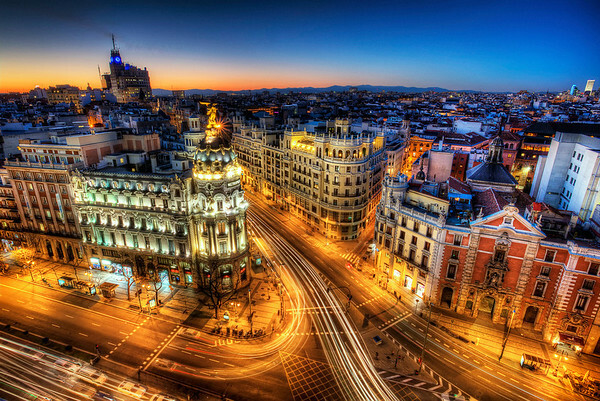 Did you know that Madrid is the 3rd most populated city in Europe and the 4th richest city? You can thank me when that comes up during your next game of Trivia Crack. 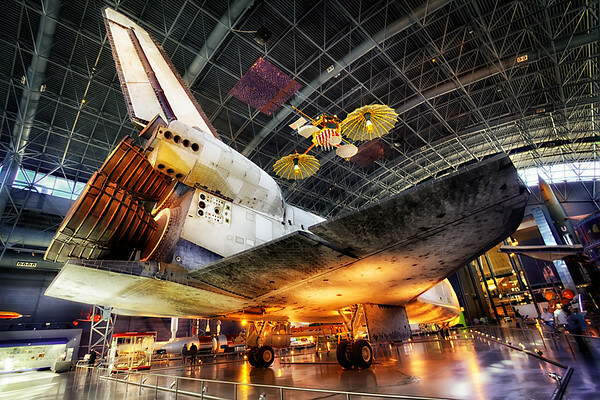 One of the many great sights in the Hazy Center of the National Air and Space Museum. 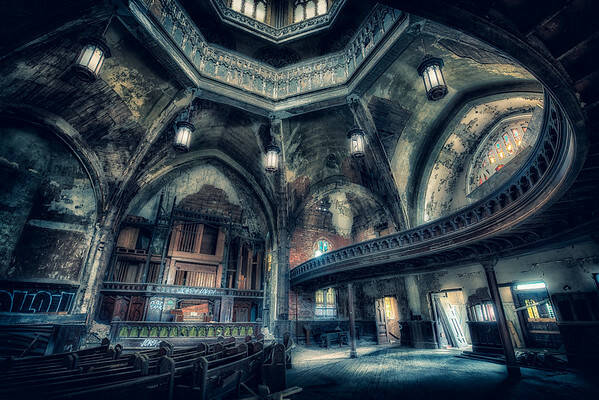 This is the main sanctuary of an abandoned church in Detroit. Even in its present state, it is a pretty amazing place. The builders obviously took great pride in this one....so much intricacy in the design and thought to the way the sunlight would stream in. I couldn't help but wonder what it must have looked like when that last family walked out of worship service and the lights were turned off for the final time. Last weekend I was visiting family in NJ and had one of those "my Italian father in the kitchen watching TV and having a 4am snack" kind of moments. So, since I wasn't going to be sleeping, I grabbed my camera, whacked down a couple of espressos, and drove into the city. I had forgotten how amazing it is to be in the city on a Sunday morning. The streets are empty, daylight is just starting to peek in.....and there is a quiet peacefulness as the city comes to life. 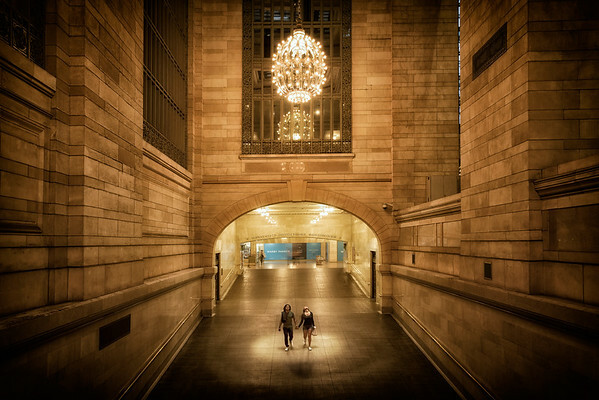 My first stop was Grand Central Station. I stood on this pathway on the second level of for about 30 minutes and took about 50 shots.....really waiting for someone to walk into that lighted circle. This was my last one. I couldn't have positioned this couple any better myself...and the young lady popping her head up to look at the globe.....that was a nice bonus. 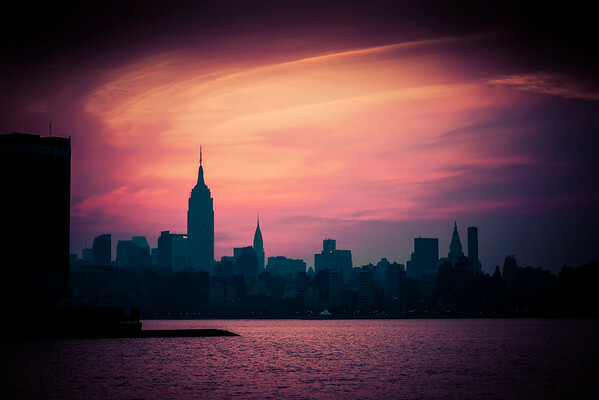 In the wee small hours of the morning…….. A view of New York City at first light of day….taken from Frank Sinatra’s hometown of Hoboken, New Jersey. Everytime I visit NJ, I make this great plan. I set my alarm clock for about 5am with the idea of getting up early and driving to Hoboken (birthplace of Frank Sinatra) to watch the sunrise over NYC. Well, the first 2 steps (setting the alarm and going to bed) work great. I’m a champ at those. However, my plan always flops on the “get up early” part. Either it’s too cold, too early, too much traffic…. or (more than likely) I’m hungry and there are still some cannolis in my mothers refrigerator. But, on this one morning, I pushed past my urges for more sleep and food, and I did it. Woke up, dressed, got in the car, made the drive, grabbed a hot cup of coffee, and sat on a little bench to watch a new day break through the darkness. The sky went from black, to blue to yellow and red in just a few minutes...........And that was the perfect amount of time, because I was tired of wiping the mist off my camera lens…………and Carlo's bakery was about open…..and moms fridge was out of cannolis.